Every year, about 300,000 men in the U.S. are diagnosed with prostate cancer. A man has a 1 in 6 chance of developing this disease in his lifetime. 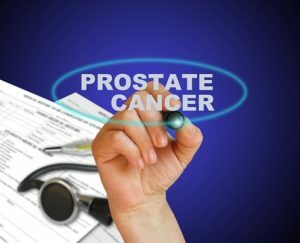 Although most cases of prostate cancer are non-aggressive, there is always a chance that the malignancy can spread to other organs, which makes ongoing surveillance and appropriate treatment priorities. Open surgery is one common treatment option, but incontinence and erectile dysfunction are potential side effects of this approach. This makes it all the more important to remember that there is more than one way to treat prostate cancer. One alternative surgical approach is robotic surgery, which is more precise and less likely to cause long-term side effects compared to traditional open surgery. Another alternative is brachytherapy, in which tiny devices that deliver doses of radiation are implanted into the organ. The targeted radiation affects the tumor with minimal harm to other healthy tissues. Top specialists can help you assess which treatments are most appropriate for your specific situation and discuss the risks and side effects of treatment options with you so that you can make an informed choice. Michael Tanner, a senior fellow at the Cato Institute in Washington, D.C., was diagnosed with prostate cancer in 2005. He consulted with a private health advisor to review all of his treatment options. Cancer-free since 2006, Tanner is grateful that he did. Q: Do you want to share a little bit about how you worked with PinnacleCare? Michael: My primary care physician missed my high PSA in 2004. But at the next year’s physical, a routine PSA test showed that my level was quite elevated. We went back and checked the previous year’s test, and found that it had been elevated then. He recommended that I get a biopsy. I think I was 50. My wife and I began to explore options. We went to one of the best medical centers for treating prostate cancer and were told that surgery was the only option. I was not comfortable with the potential side effects. PinnacleCare and I discussed different options, and finally decided to talk to two other physicians: One was a specialist who performed robotic surgery, which had a lower likelihood of side effects. The second specialized in brachytherapy. Because of my concerns about the side effects of surgery, PinnacleCare also arranged for me to consult in Boston with a leading specialist in sexual medicine. I came back reassured after talking to him, and decided brachytherapy was the most suitable treatment. Q: If you had not been able to go to PinnacleCare, how might you have progressed through that decision process? Michael: I certainly would have been panicked. I probably would have gone ahead with the surgery and I’m not sure that would have turned out nearly as well due to the potential complications. Q: Did the specialist consultations help? Things might have been different if I was 75 and I got this diagnosis, but at 50, I still had a lot of life before me and did not want to risk the cancer spreading. I’m also still young and healthy enough that I didn’t want to have to live with incontinence or impotence. Without PinnacleCare, the outcome might have been dramatically different. Q: One of the things that PinnacleCare focuses on is a personalized healthcare approach, where we work with each member to really understand the individual, his or her fears and concerns, and what’s going to work for that person. Did you feel that you got that type of experience from PinnacleCare? Michael: Much more than I would have gotten from my primary care physician. It was not just, “Am I going to get the cancer removed?” It was also “What kind of quality of life am I going to lead post-procedure” that mattered. The fact that they showed concern about that was important to me. Q: How would you describe your decision process? Michael: The medical information provided helped me to make a more informed decision. It was invaluable. I learned about the best people in the various fields of expertise. And of course, I got help in setting up appointments, which was very good, but the primary benefit was getting that information. Q: What would be your advice to others going through this experience? Michael: Second opinions are extremely important. The first option provided is not always the answer. You shouldn’t just go to your primary care physician and do whatever he says. I really learned to ask questions and not take the first answer I’m given.